Hey guys, what’s up? How are you all doing? I’m not doing well these days- very sick and almost bed-ridden. The weather is the one to be blamed. 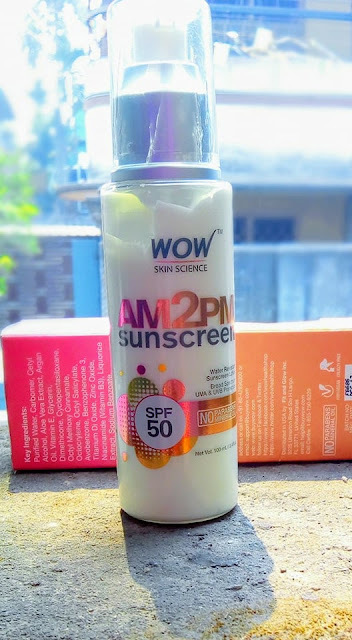 Okay, today I’m going to review another long awaited product which is the Wow Skin Science AM2PM Sunscreen. I got this in the mail many days ago but did not get a chance to talk about it. So, without further ado let’s get into it. About Wow Am2Pm Sunscreen (Claims): Water-resistant & broad-spectrum sunscreen lotion with SPF 50. 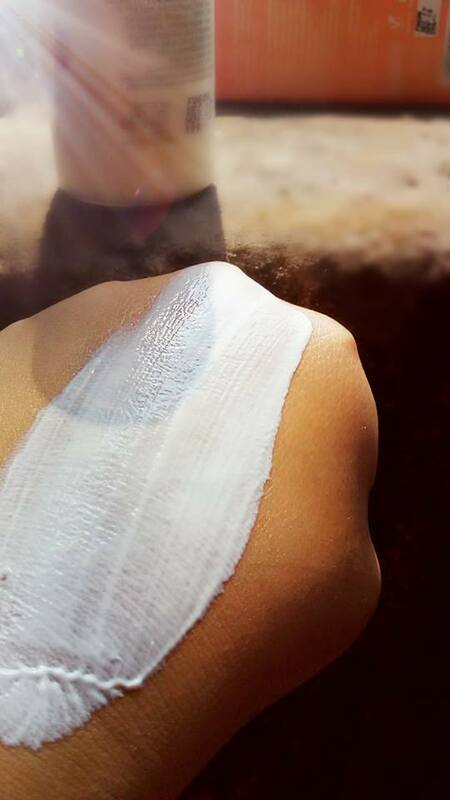 It protects the skin from the UVA/ UVB radiations of the sun. Works longer even when perspiring or swimming. Powered with Moroccan Argan Oil, Aloe Vera Extract, Liquorice Extract, Zinc Dioxide, Titanium Dioxide and Vitamin E, it helps save the skin from darkening, pigmentation and visible signs of ageing. · Being water-resistant, it works for a long time even while perspiring or swimming. 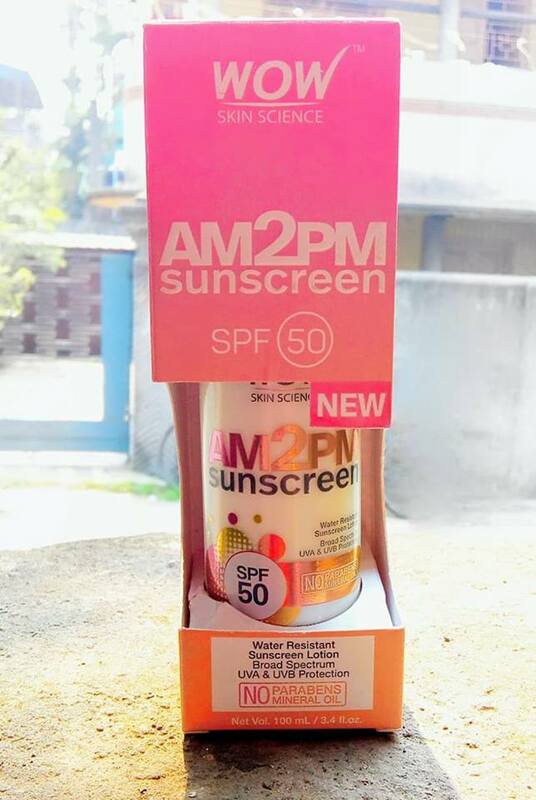 Packaging: The packaging of the Wow Am2Pm Sunscreen is quite fancy. 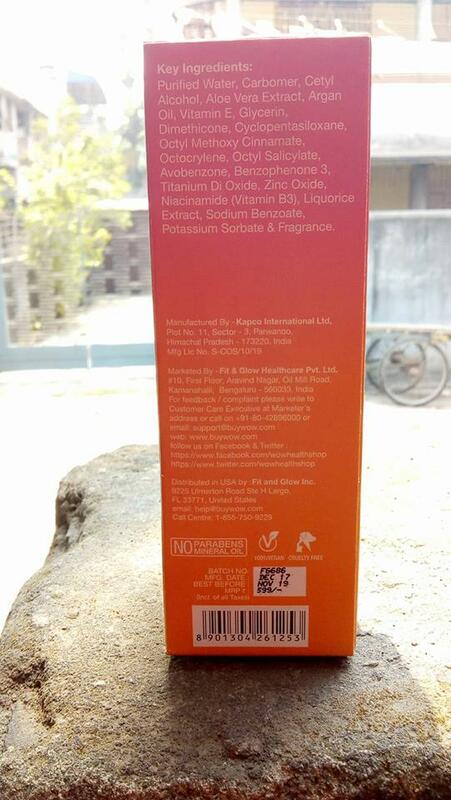 It comes in a rectangular box with an opening in the middle from where you could actually see the product. Every detail on the box is written in white color. Product: The product comes in a white plastic bottle. It has a pump dispenser and a plastic cap which is quite flimsy. Mine has got scratches and broken everywhere. It even doesn’t close properly. The neck is silver and the rest of the container is pretty sturdy. It has gold and black detailing all over. 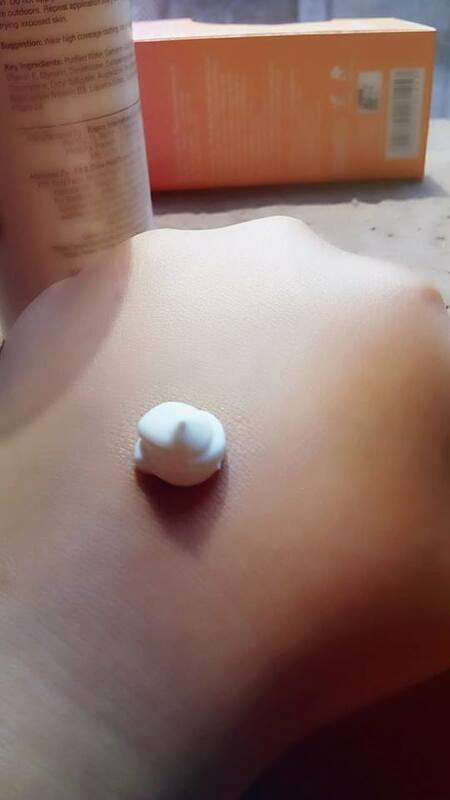 The product is a white creamy liquid which is neither thin nor thick. It has a nice fragrance. My Experience: Being a student and staying out of the home almost all day has me searching new sunscreens every now and then. My skin reacts to sunscreen quite quickly and the results can be bad sometimes. So, I’m pretty skeptical about what I’m buying. Wow sent me over their sunscreen and I was keen to try it. It has a SPF of 50 and is paraben-free. This also claims to be water-resistant. I’ve been using this quite often and here are my verdicts. You need a very little amount as it takes time to blend and get absorbed into the skin. It’s a little sticky and can sometimes get too heavy leaving your skin dull and grey. I don’t think it’s suitable for everyday use but for occasions, meetings, events, long days this is the one to go for. I love the fragrance of this. The quantity will last you long. It has a broad-spectrum protection. It says it is non-greasy but for me it’s a little greasy. 6. Only a little bit is needed. Overall, I don’t hate this product but I don’t love it as well. It’s safe to say I like it. Also, these opinions are completely my own and it can vary from person to person. This didn’t work for me but it can work for you. Do give it a try.